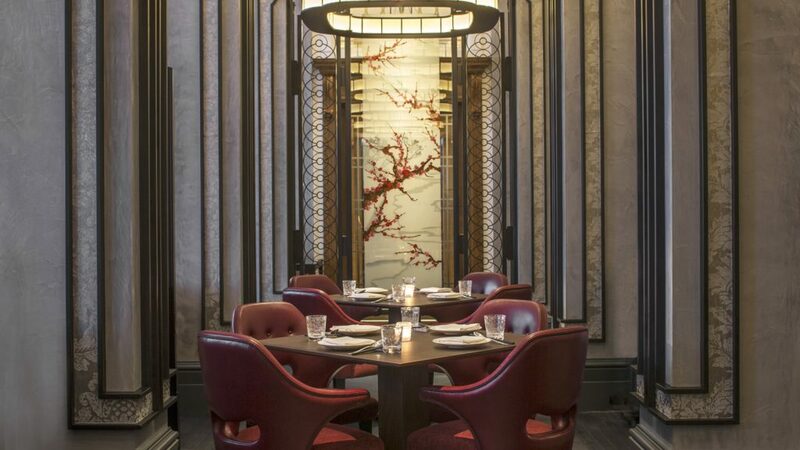 Mei Ume at Four Seasons Hotel London at Ten Trinity Square has taken home the awards for Best UK Restaurant and Best Luxury UK Restaurant at the annual Restaurant & Bar Design awards. As well as winning the two awards, Mei Ume was also shortlisted as Best London Restaurant, Best Restaurant or Bar in a Hotel and Best Restaurant or Bar in a heritage building. Designed by Ed Ng and Terence Ngan of AB Concept, Mei Ume takes inspiration from the building’s heritage as a gateway for merchants from the east and west as well as from the restaurant’s name Mei Ume, which is a combination of the Japanese and Chinese language words for “plum blossom.” A large screen at the entrance made with enamel paint on glass depicts the signature plum blossoms. Strategically placed at the entrance, this piece fuses the two worlds into one as a common language. Celebrating its tenth year, the globally-recognised awards are dedicated to the design of food and beverage spaces and were attended by more than 600 of the UK and world’s best designers and their clients. To make a reservation at Mei Ume contact 020 3297 3799 or email diningreservations.tri@fourseasons.com.